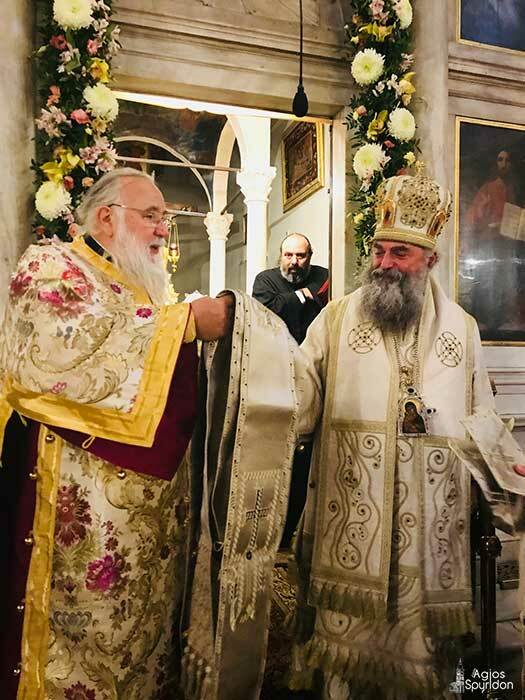 On Thursday morning, December 13, 2018 a Divine liturgy with two Bishops was made, with his Eminence, the Bishop of Corfu, Paxoi and Diapontian Islands, Mr. Nektarios and the Bishop of Alxalkalaki and Koumourdo Mr. Nikolaos from Georgia. 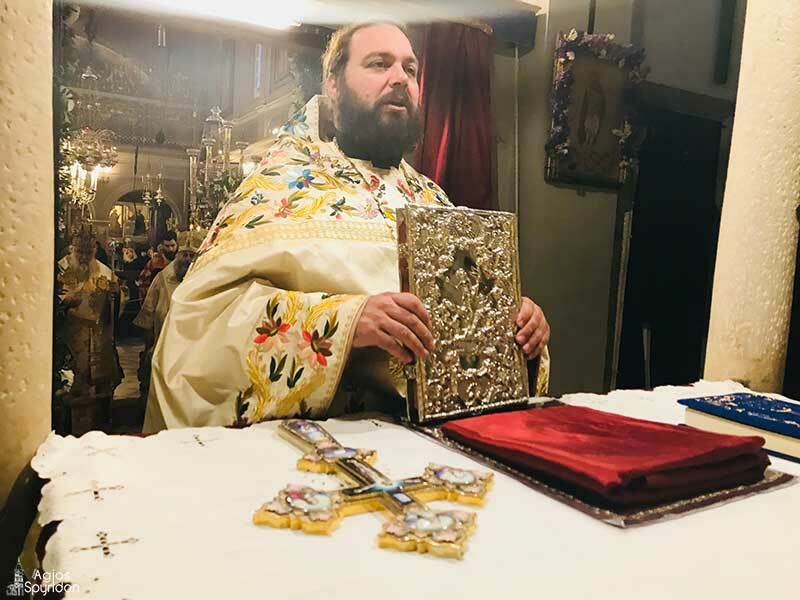 Archimandrite father Dimitrios Kavvadias, from Corfu, in the Holy Metropolis of Lagkadas, Liti and Rentini, underlined that Saint Spyridon teaches us with the simplicity of his life and his powerful faith and praying to the Triune God. 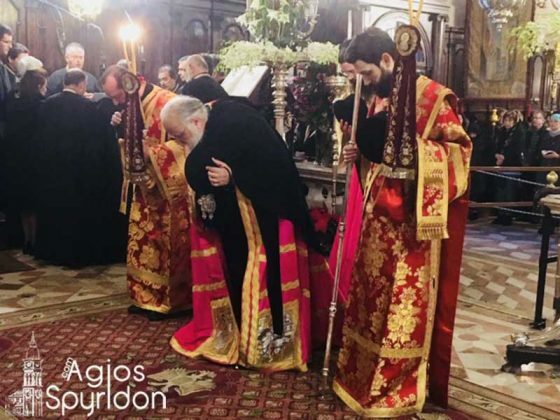 Saint Spyridon was blessed by Christ to do miracles, honoring God. 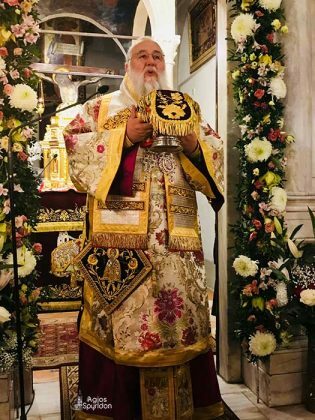 Humans by being real students of Christ, can with the grace of the Holy Spirit, also subdue the elements of nature and heal diseases. 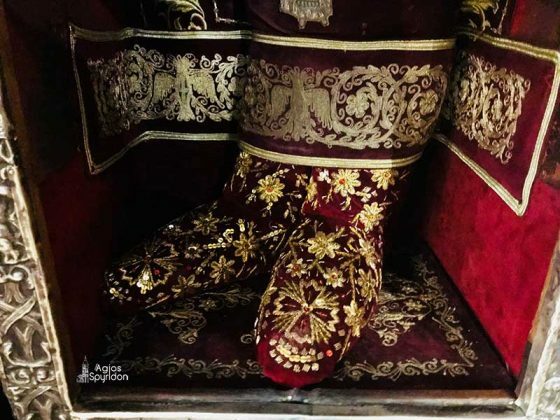 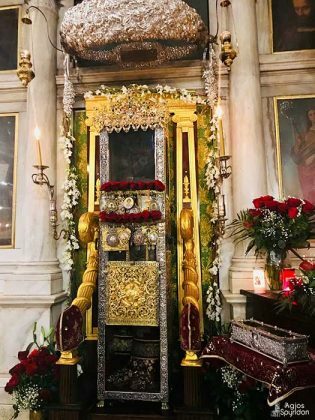 Moreover, Dimitrios made a short reference to St. Spyridon’s life, but also to the course that followed his indestructible Relic, until he arrived in Corfu in 1456. In conclusion, Demetrios wished the two Bishops and the devout believers, Saint Spyridon to cover and to celebrate every day of their life. 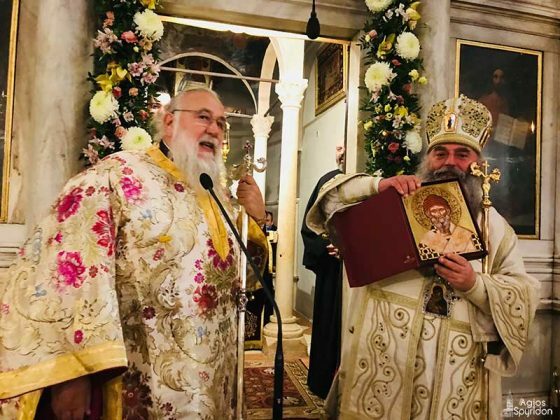 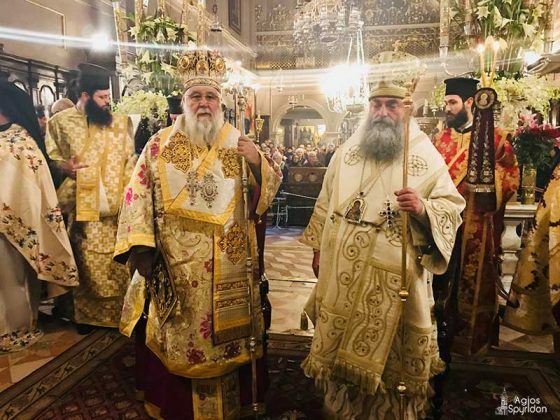 Before the end of the Divine Liturgy, Mr. Nektarios welcomed the Bishop Ahalkalaki and Koumourdo to the island of Saint Spyridon, while pointing out the brotherly ties of the two Orthodox peoples, Hellenic and Georgian. 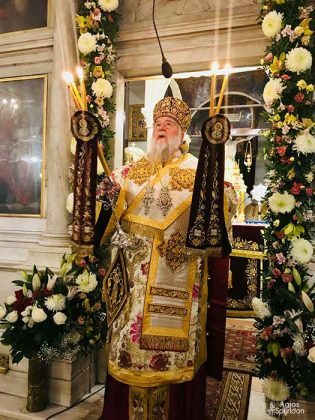 This unity of faith and the society of the Holy Spirit needs to be maintained, especially in the evil times we live in, where Orthodox faith is being attacked by the rolling globalization. For his part, Mr. Nikolaos deeply thanked his Eminence, noting his great gratitude to both Christ and Saint Spyridon. 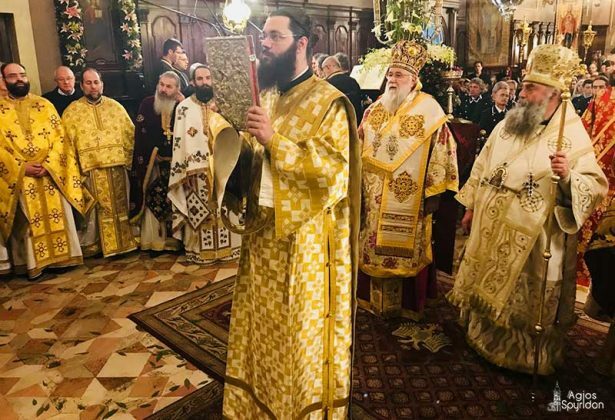 In Georgia, although the Orthodox reach 95% of the population, there are many difficulties. 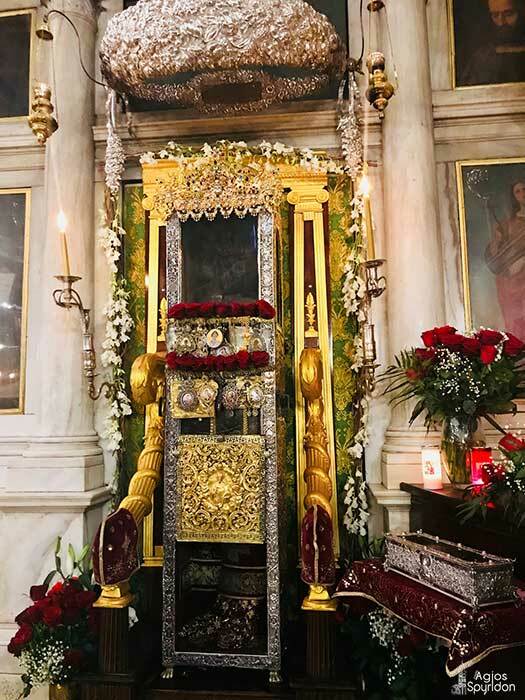 But with the grace of the Lord and the prayers of the faithful, any obstacles can be overcome. 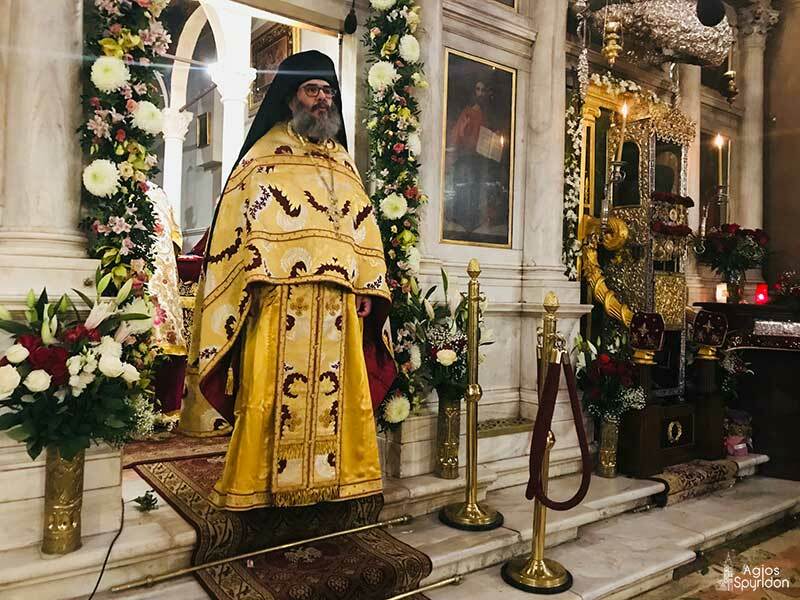 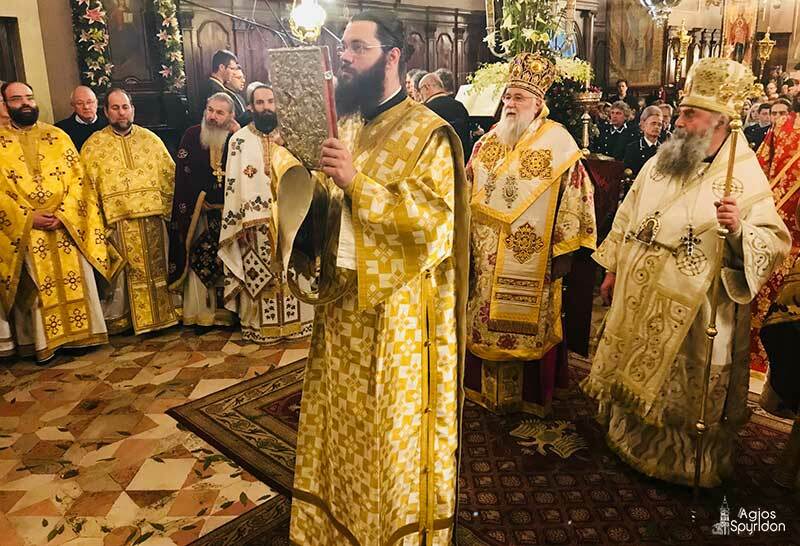 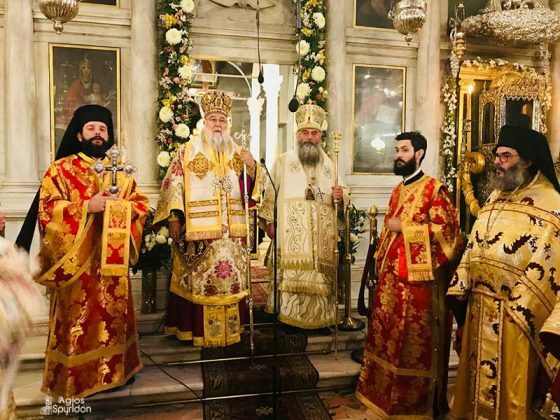 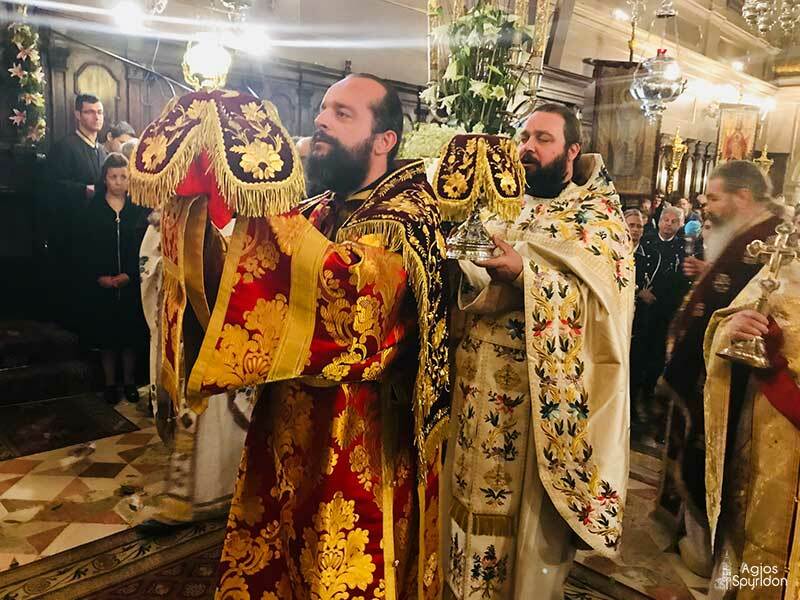 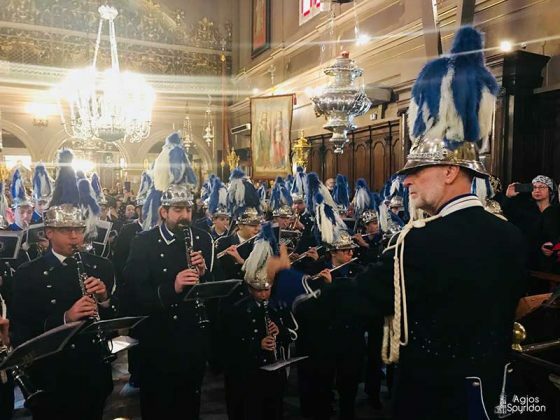 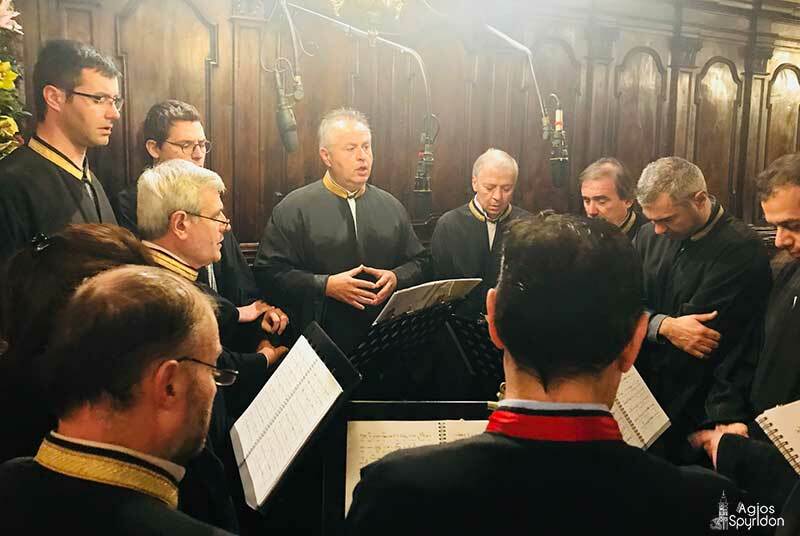 In the Orthodox Church and in the Divine Liturgy, the choir of the Greek Orthodox Church of Virgin Mary of the Foreigners under the direction of the Chief of Nicolas Makropoulos. Finally, in the middle of the Divine Liturgy, the Philarmonic Society “Mantzaros” played in honor of Saint Spyridon. 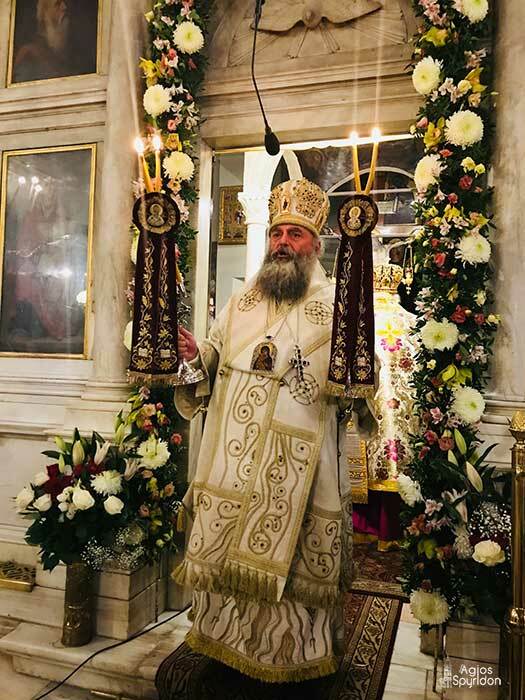 Previous articleArchieratic Vesper in the Holy CHurch of Saint Spyridon in Corfu. The litany of Protokyriako in Corfu.